"If there is a particular learning aid you are interested in and you can't find the right resources for it, I am willing to be your assistant and develop whatever you need. Contact me and let me know what you need. If you have success with any of the items I have developed, I would be thrilled to hear about it." 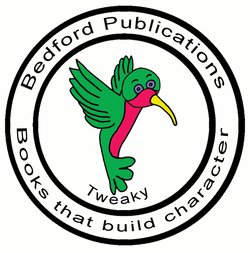 These teacher resources were created by Betty Ward Cain, a retired veteran teacher and author at Bedford Publications. Betty wasn't satisfied with the limited resources available to her as a teacher, so she began to develop and create curriculum-related items to use in her classroom. She shared her ideas with other teachers and they used them or adapted them for their individual needs in their classrooms. After retirement, Betty continued to think of the struggles teachers have in finding just the right graphics or learning aids for their needs. She continues to develop and publish items she wishes she could have found while teaching. Understanding the limited budgets of a teacher, we are striving to keep the prices as low as we can. If any of our prices seem unreasonable to you, please let us know.